Below is the standard letter I'm e-mailing any keyboard aspirants. The most important ingredient required is a great, reliable player and a nice guy or girl! 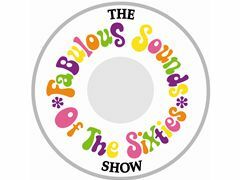 We do two main shows - the most popular one is "The Fabulous Sounds Of The Sixties Show". It's an 10 person show plus production. It plays venues like Kedron-Wavell Services Club, Twin Towns Services Club, Treasury Casino (residency) plus corporate bookings. It won the award for Best Production Show at the last three Entertainer Of The Year Awards for Clubs in South Qld. The same group do an alternate show comprising of '50s, '60s, '70s & contemporary material plus some originals. We are billed as "Darren J Ray & The Love Bugs". Some of the Fab Sixties Show songs are also in this act. The keyboards player is an integral part of both acts. We are looking for an excellent player who can replicate the sounds and styles on the original records. Image is also a crucial part of the Sixties Show. A well-presented, educated guy (or girl) under 30 is preferred. The image is young people doing music from 40 years ago (the average age of the group is 23). We all look like we just stepped out of 1965 so the earrings, piercings, shaved head and tattooed brigade probably need not apply! If you can sing, please be sure to let me know. We are a happy group of mainly young performers. Egos are left at the door upon arriving. Attitudes don't make it to the door. We currently perform about twice a month. We are looking at recording and taking this group as far as it can go. Money averages $200-$250 for most shows. Money is paid promptly into respective bank accounts usually the week following the weekend's performances. The show has been going since 2002. An audition would involve learning five songs that I can send you as mp3s. Please let me know if the position interests you and we'll get an audition happening asap.